How can you create a community of readers in your school? In other words: We should teach kids to read, let them choose interesting books and provide opportunities for them to share their reading life with their peers. Simple, right? Unfortunately, getting kids to become book lovers can be a real challenge. Reaching every reader starts with helping students find their keenest interests, introducing them to any and all materials available on the topic, and finding new ways to present material. Make research fun and meet standards by encouraging kids to explore multimedia resources and to create their own movies, 3-D models or interactive presentations to demonstrate their knowledge. Find out what your students love by listening closely to them. What are they talking about? What topics excite them? Empower them by having them survey each other about what topics interest them and then create graphs to show the results (nothing like sneaking in a little math!). Create displays and reader advisories that guide them toward books that focus on the topics they love. Make reading a pleasurable, relaxing experience. 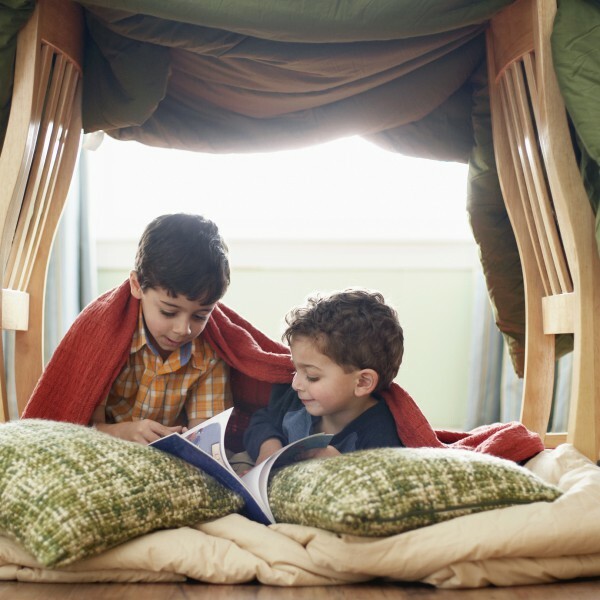 Set up comfy reading spots in your library with bean bags, rocking chairs or reading tents — anything that makes kids feel that they are experiencing a special treat. Focus on a theme, such as dogs; set up a large dog bed where kids can curl up with a book, offer dog tags or bookmarks that kids can earn when they read a certain number of books, etc. You can even invite a local therapy dog group to bring dogs into the library for the children to read to. Upstart’s free themed activity guides give you a multitude of ideas for creating excitement around a theme, from decorations to activities to school-wide contests. Tap into expert resources in your community, such as university instructors and community members. Many would be happy to speak to your students about interesting hobbies or careers, such as geocaching, archaeology or herpetology. This also offers the perfect opportunity to put Common Core Speaking and Listening Standards into practice. Display fiction and nonfiction books that relate to the speaker’s topic, and post some compelling facts to build excitement. After the presentation, students can make their own nonfiction fact books or multimedia presentations about the topic. Take pictures of each speaker’s presentation and display them on a bulletin board so you can review all the fun topics you explored together at the end of the year. You can also reach beyond your local resources with Skype or Google chats. Many authors and experts are willing to talk with classes. Author Kate Messner offers tips on her blog for Skype chats and provides a list of authors who will Skype with classes or student book clubs. Infuse art into nonfiction instruction. Create an art exploration area with books that feature different styles of art, such as surrealist, realistic or abstract, as well as the artists who are famous for those styles. Working in collaboration with classroom and art teachers, have students create a digital timeline of a famous artist and his or her work. Encourage them to create their own works of art by copying the artist’s style. Or, after reading a fiction or nonfiction book, have students depict one of the scenes (or a representation of a fact they learned) using one of the art styles you’ve discussed. Help students build confidence in their reading skills by meeting them at their level. Some students may be reluctant to read because they lack fluency or comprehension skills. Help them gradually build confidence in their reading ability by directing them to books with short passages or different formats, such as graphic novels, which can be digested in small bites. Audiobooks can also help students improve their language skills while building an interest in reading. Encourage parents to put aside the notion that everything their child reads needs to be on grade level. Even if a child chooses a book that is easy for him to read, he’ll benefit from enjoying what he reads and build his confidence in his reading ability. Make parents your reading allies. We know parental involvement has a huge impact on student achievement. Send home short reading passages with comprehension questions or educational trivia games with the challenge to “Stump the Adult!” Students can read practice cards aloud to their parents, challenging the parent to answer the comprehension question at the end of the passage. Reading aloud promotes fluency, and the student will benefit from hearing the answers to the comprehension questions. Students will also have fun stumping their parents with the exciting and silly facts in trivia games. Students who don’t read over the summer can lose the equivalent of over 2 months of reading instruction by the time they return to school in the fall. Head off the “summer slide” by inviting your public librarian to speak to each of your classes about summer reading programs. Students will be motivated to read over the summer when they see the fun, theme-based programming and hear about the prizes they can earn. If your local public library doesn’t offer a summer reading program or students don’t have access to the library during the summer, you can encourage students to participate in national reading challenges, such as those sponsored by Pizza Hut and Barnes & Noble. Reach out to local community businesses to raise funds to send every child home for the summer with a new book and start them on their way toward meeting their summer reading goals. What are some of the creative ways you’ve found to engage reluctant readers? Share your ideas in the comments section below!